From the California Dreaming collection by Dena Designs Home. Blissful Bouquet in the licorice colorway. 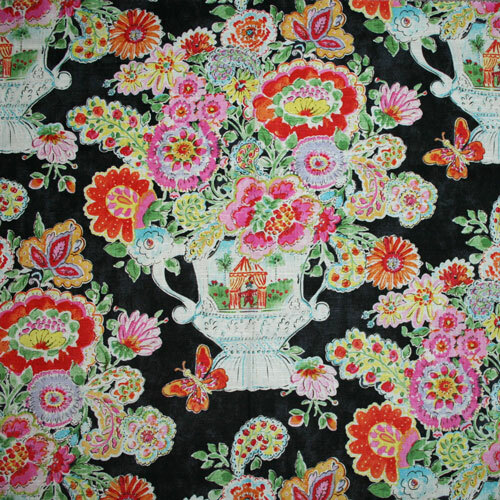 Large scale floral print in vibrant shades of pink, yellow, green, blue, orange, lavender and white on a black background. Suitable for drapery, decorative pillow covers, headboards, crafting or light upholstery. NOTE: This is a discontinued pattern. Our remaining stock may be in pieces and from different dye lots. Please contact us for more details.